The weather gets warmer, the trees and flowers bloom and – the pastels are back in fashion and makeup! The easterbunny was so kind to bring me this amazing eye-palette by Bobbi Brown. It features 6 unique shadows, 2 mattes and 4 shimmers. 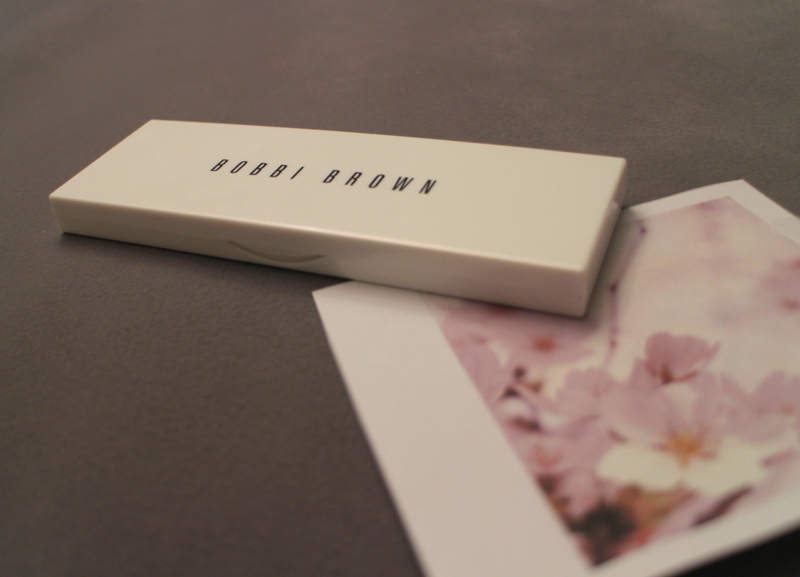 This is my first Bobbi Brown product and I’m really amazed how well they could live up to my expectations – especially for the high price and the hype around the brand. – PLATINUM: glittery silver – makes your eyes POP! price – it was gifted to me, but after trying it out I know it’s worth it! This entry was posted in Beauty, General and tagged baby pink, beauty, bobbi, bobbi brown, bright, brights, brown, colors, easter, easterbunny, eye, eye palette, eyes, eyeshadow, fashion, gift, grey, high-end, ice blue, ivory, limited, makeup, matte, metallic, new, palette, pastel, pastels, present, price, shades, shimmer, silver, smooth, spring. Bookmark the permalink.